This hot debut is the first book in an epic new series about a princess hiding a dark secret and the con man she must trust to clear her name for her father's murder. Amélie Wen Zhao was born in Paris, grew up in Beijing, and attended college in New York City, where she currently resides. Blood Heir is her first novel. 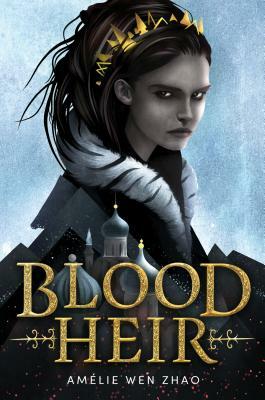 To learn more about Amélie and Blood Heir, go to ameliezhao.com or follow @ameliewenzhao on Twitter and Instagram.